This group is defined as one of the key statin benefit groups in the 2013 American College of Cardiology/ American Heart Association cholesterol guidelines. However, prior to this study there was no randomized clinical trial evidence for statin therapy in this patient population. Researchers performed a post hoc analysis from the WOSCOPS randomized, placebo-controlled trial, along with observational post-trial 20-year follow up. Here, 5529 men aged 45 to 64 years who were randomly assigned to pravastatin 40 mg/d or placebo were included. The participants did not have evidence of vascular disease at baseline. The effect of pravastatin and placebo was analysed with respect to the impact on coronary heart disease and major adverse cardiovascular events. Pravastatin was shown to reduce the risk of coronary heart disease by 27% (P=0.002) and major adverse CVD events by 25% (P=0.004). This was consistent in patients with and without LDL-C ≥190 mg/dL, all of whom had no prior evidence of vascular disease. Overall, in the patients initially randomised to pravastatin, CHD death, CVD death and all-cause mortality were reduced by 22%, 17% and 12%, respectively. However, even though the evidence gap has now been closed, the bridge between research and clinical practice must still be crossed. The authors argue that perhaps the biggest challenge is to encourage clinicians to adopt these recommendations into their clinical practice. Vallejo-Vaz A, Robertson M, Catapano A.L, et al. 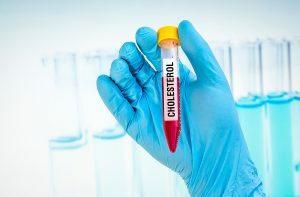 Low-Density Lipoprotein Cholesterol for the Primary Prevention of Cardiovascular Disease Among Men with Primary Elevations of Low-Density Liporpotein Cholesterol Levels of 190 mg/dL or Above: Analysis from the WOSCOPS (West of Scotland Coronary Prevention Study) 5-year Randomized Trial and 20-Year Observational Follow-Up. Circulation 2017; 136: 1878-1891. Watson K.E, Fonarow G. Closing the Remaining Evidence Gap: Randomized Controlled Trial Data to Support Statin Therapy for Low-Density Lipoprotein LDL-C ≥190 mg/dL. Circulation 2017; 136: 1892-94.